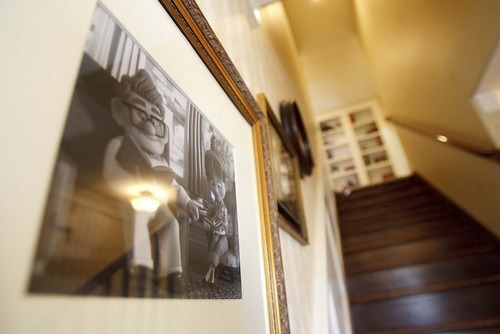 Tourism • City officials say about 1,000 visitors a week still coming to see house based on the Pixar film. 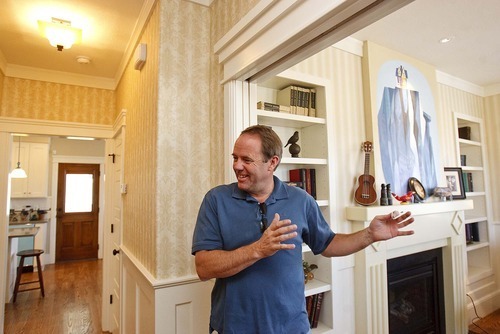 Trent Nelson | The Salt Lake Tribune A room in the Up house, modeled after the home from the Pixar film "Up," in Herriman. 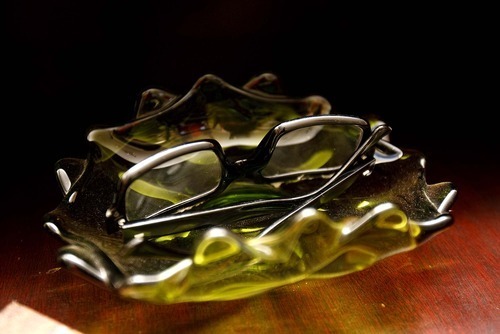 Trent Nelson | The Salt Lake Tribune A pair of glasses inside the Up house, modeled after the home from the Pixar film "Up," in Herriman. 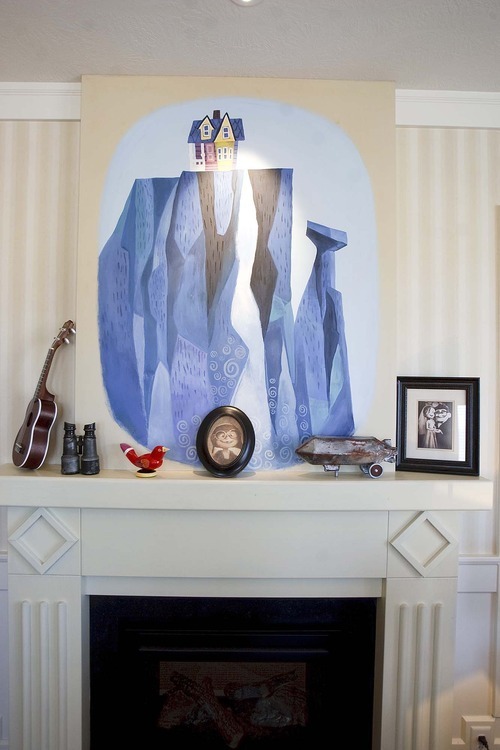 Trent Nelson | The Salt Lake Tribune Artwork along the stairway inside the Up house, modeled after the home from the Pixar film "Up," in Herriman. 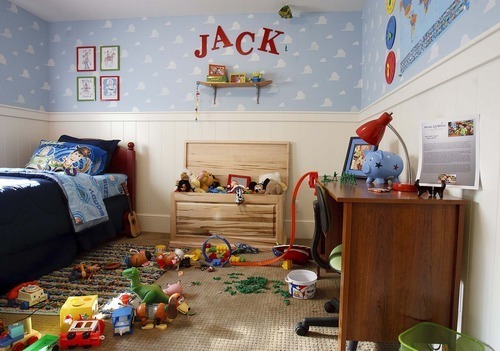 Trent Nelson | The Salt Lake Tribune A nursery room inside the Up house, modeled after the home from the Pixar film "Up," in Herriman. 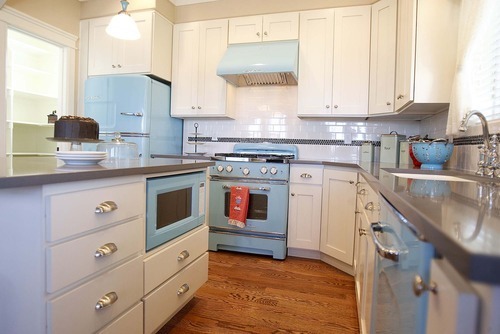 Trent Nelson | The Salt Lake Tribune The kitchen of the Up house, modeled after the home from the Pixar film "Up," in Herriman. Trent Nelson | The Salt Lake Tribune Details inside the Up house, modeled after the home from the Pixar film "Up," in Herriman. Trent Nelson | The Salt Lake Tribune Details inside the Up house, modeled after the home from the Pixar film "Up," in Herriman. 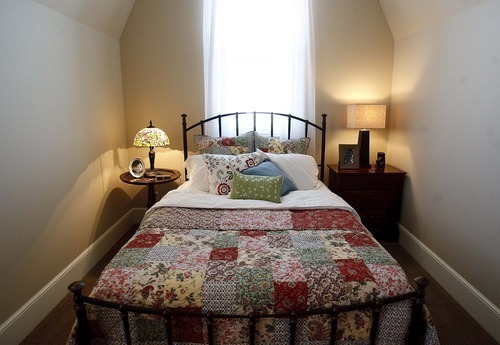 Trent Nelson | The Salt Lake Tribune The master bedroom inside the Up house, modeled after the home from the Pixar film "Up," in Herriman. 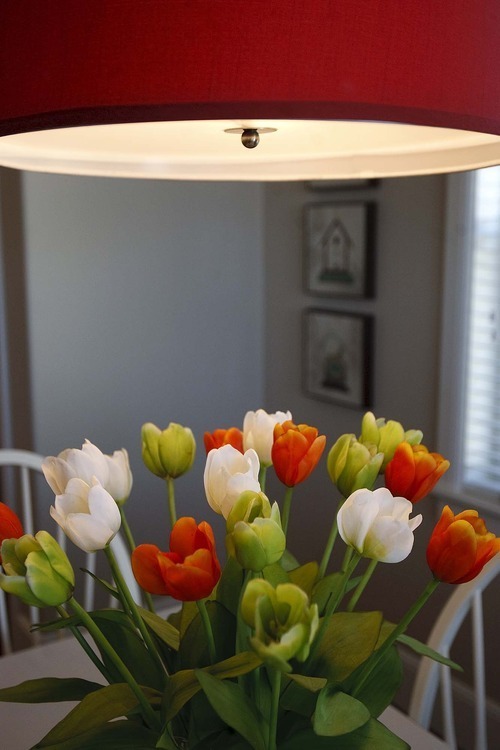 Trent Nelson | The Salt Lake Tribune Flowers and a lamp inside the Up house, modeled after the home from the Pixar film "Up," in Herriman. Trent Nelson | The Salt Lake Tribune Blair Bangerter, builder of the Up house, modeled after the home from the Pixar film "Up," in Herriman on Thursday. Trent Nelson | The Salt Lake Tribune Details inside the front room of the Up house, modeled after the home from the Pixar film "Up," in Herriman. Trent Nelson | The Salt Lake Tribune The mailbox at the Up House, modeled after the home from the Pixar film "Up," in Herriman. 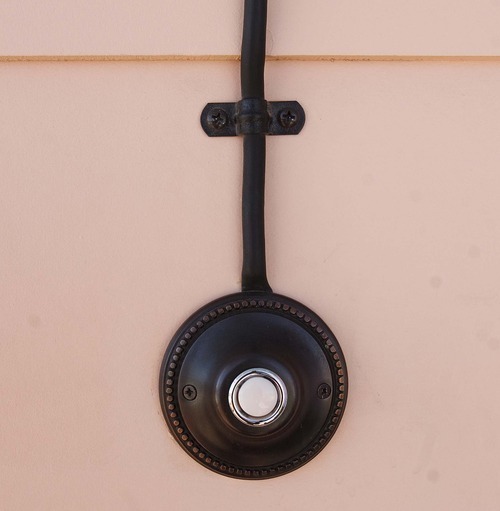 Trent Nelson | The Salt Lake Tribune The front doorbell at the Up house, modeled after the home from the Pixar film "Up," in Herriman. 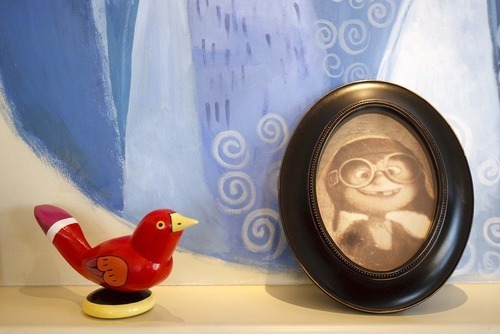 Trent Nelson | The Salt Lake Tribune A boy's room inside the Up house, modeled after the home from the Pixar film "Up," in Herriman. 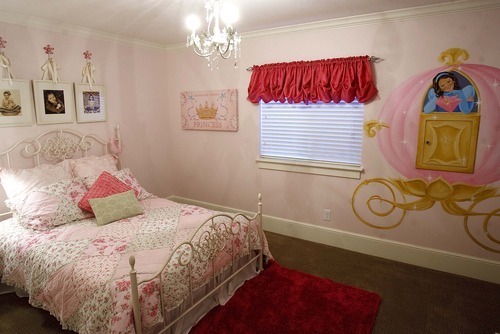 Trent Nelson | The Salt Lake Tribune A girl's room inside the Up house, modeled after the home from the Pixar film "Up," in Herriman. Herriman • This small city's economy is looking "Up" thanks to a little house inspired by a big movie. 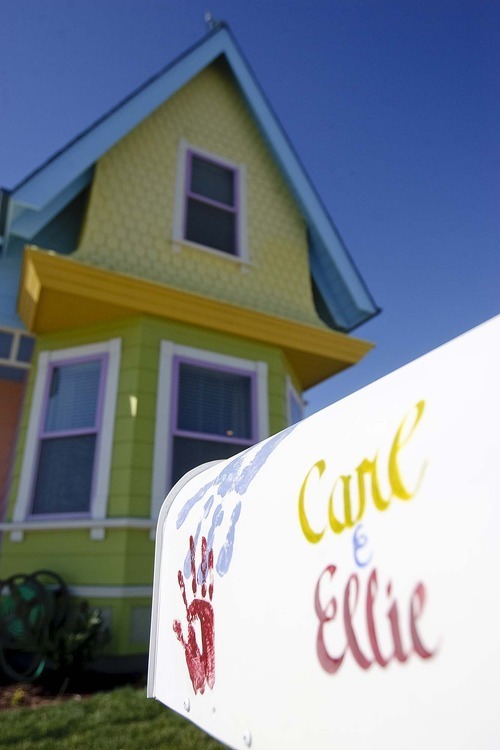 The suburban Salt Lake County city of 22,000 has seen a huge increase in publicity  and business  that officials credit to the "Up" house, a replica of the home featured in the popular Disney/Pixar animated movie of the same name. City leaders are so thrilled with the house and the spotlight it has turned on the town that council members planned to memorialize its impact with a resolution at their Thursday meeting. "It's a visual symbol of what we feel like our community is, and the direction we hope it will continue to take," said city spokesperson Nicole Martin, who characterized Herriman as a family town for people who want a quiet lifestyle with the convenience of a large city nearby. The sherbet-tinted house has garnered national  and even international  publicity for Herriman, Martin said. An article in The New York Times and a photo spread in People magazine have created a mini-tourist boom in a town whose previous claim to fame was a devastating wildfire. All that press has brought an estimated 27,000 visitors to the city since the house opened during the Salt Lake Parade of Homes this summer. Those visitors eat in Herriman's restaurants, buy goods at its stores and even look at home lots, according to Martin. That was true for Ann Robertson, of South Jordan, and Lona Thomas, from Hurricane, who visited the home Thursday afternoon. The pair planned to see the house and then pick up Robertson's daughter for lunch. "Whatever else we want to see, we'll stop and do that, too," Robertson said. "We're born to shop  and eat," Thomas added. And the crowds are holding steady. Around 1,000 people are still coming to see the house each week, according to builder Blair Bangerter, of Bangerter Homes. The company received special permission from Disney to build the home, Bangerter said, and had to turn over the plans once it was completed, so this "Up" house will be the only one. 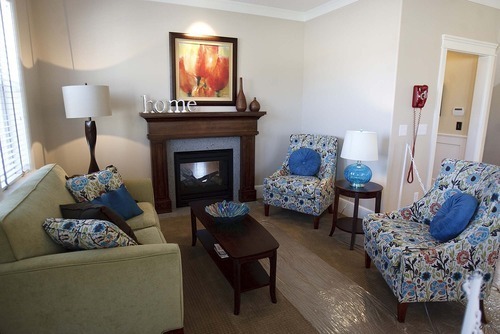 Bangerter had originally planned to sell the home after the Parade of Homes was finished, but with interest remaining high, he is keeping it as a model, open to visitors. 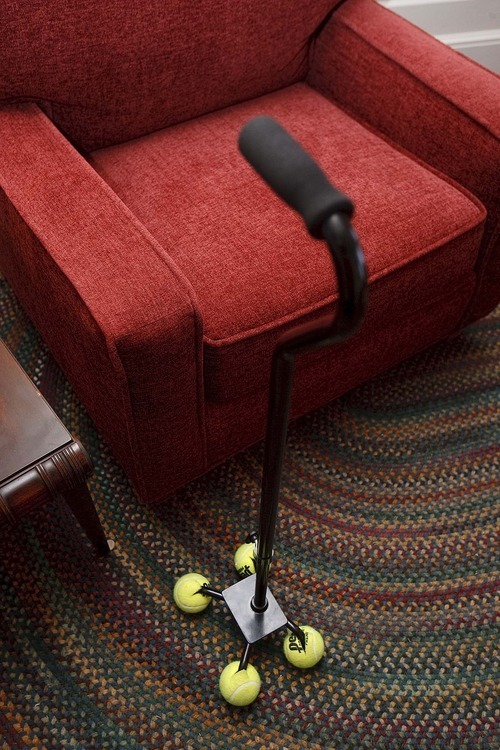 "I just get a kick out of people having fun walking through the house," Bangerter said. That fun will continue over the holidays, with trick or treating on Halloween night featuring Bangerter's father  former Utah Gov. Norm Bangerter  dressed up as the movie's Carl Fredricksen passing out candy. Blair Bangerter also plans for other movie characters  Russell the wilderness explorer and Dug the dog  to make an appearance, and is trying to "imagineer" a way to rig Dug with an iPod that will play some of his sayings. The "Up" house, at 13215 S. 5390 West, Herriman, is open Monday through Saturday, noon to 8 p.m. Admission is free, and visitors are welcome to go inside and take photos. Trick or treating with the "Up" characters is Oct. 31, Halloween night, from around 5 p.m. to 8 p.m.